Though alcohol clearly isn’t the healthiest beverage, The Craftsman probably is your most health-conscious bet when you’re looking for a buzz. Dustin Elmalem, owner of the Miami pop-up bar—an extension of the original Craftsman in New York—offers craft cocktails free of added preservatives, along with a neighborhood bar vibe. While the Harlem location is a craft café by day and craft bar by night, the Miami version of The Craftsman (900 S. Miami Ave., Suite 135) keeps its focus on the drinks. While the venue does serve small plates and craft sandwiches—the kitchen is open until 4 a.m. daily—it’s known best for its laidback atmosphere and quality cocktails and beers. 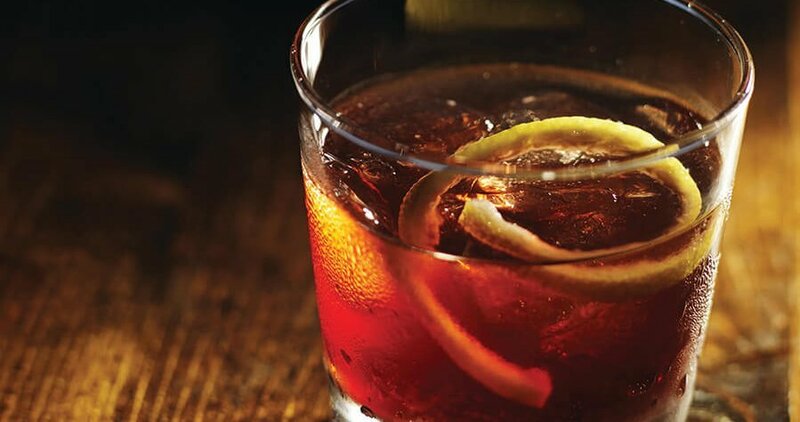 Cocktails like the Tequila Mockingbird—a blend of Cazadores Blanco tequila, cold-pressed ginger and kale juice, with a cayenne pepper rim—and A Greek in Manhattan—The Craftsman’s take on an old-fashioned—are named for famous books and authors. Along with the clever cocktail names, The Craftsman has live music, DJs and Latin parties, depending on the night. On Wednesdays, the establishment teams up with Miami Comedy to host a live comedy show, and Thursday is ladies’ night. Day to day, it’s a laidback vibe, with low-playing music and friendly staff and bartenders. Though the Miami bar, which opened in September, is a pop-up location—a temporary establishment, as the name suggests—Elmalem hopes The Craftsman’s Miami bar will be open at least for the next year. Stir ingredients in mixing glass with ice. Strain into rocks glass with ice. Garnish with lemon peel and zest.